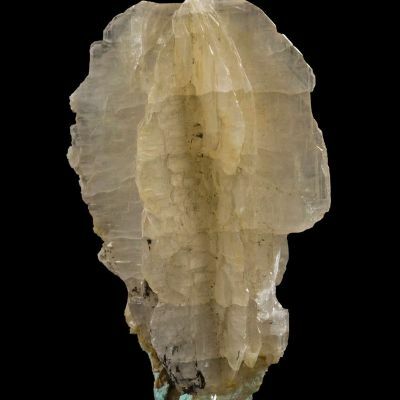 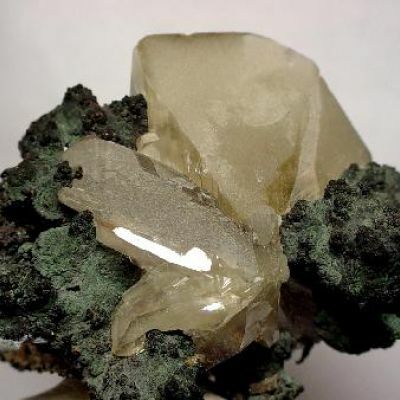 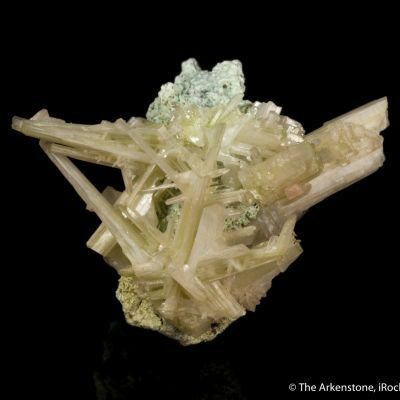 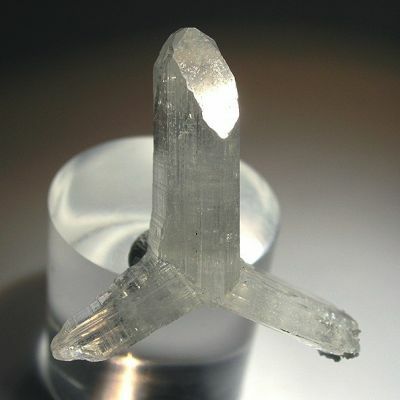 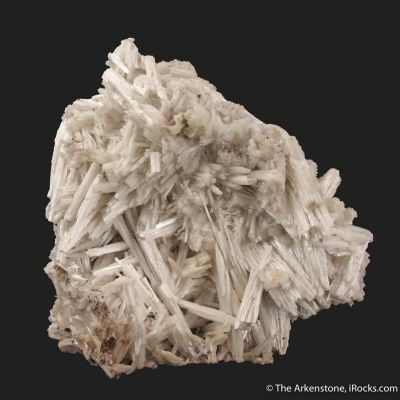 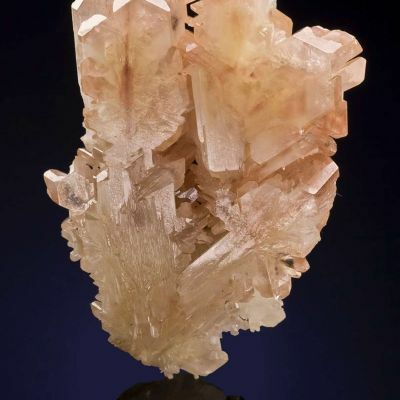 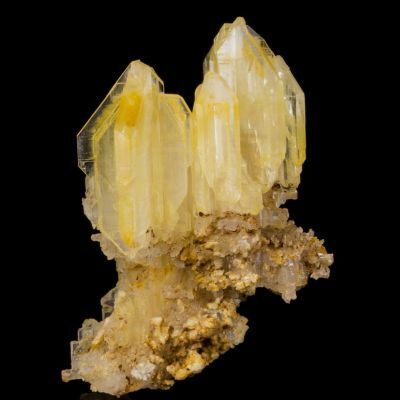 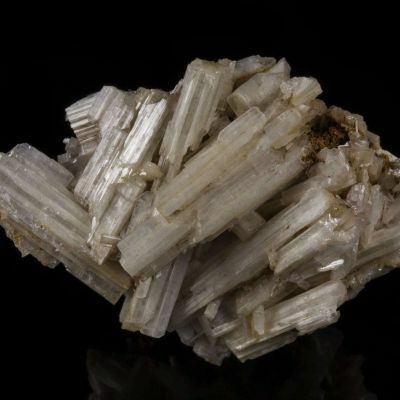 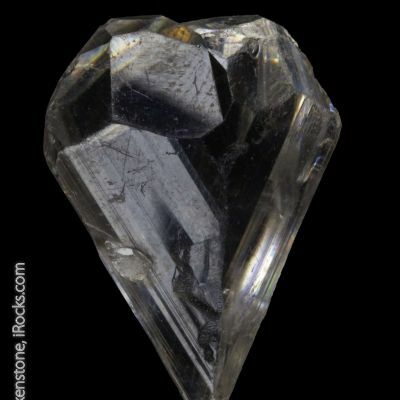 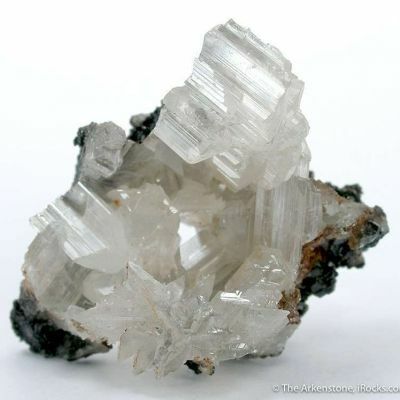 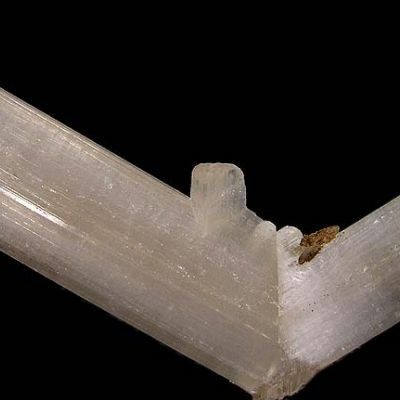 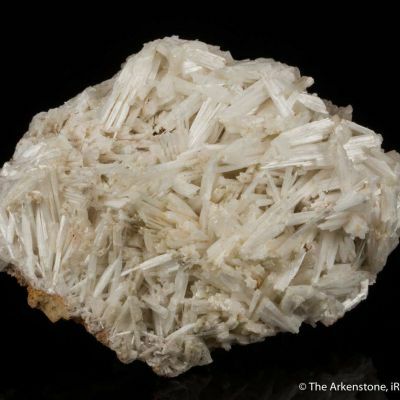 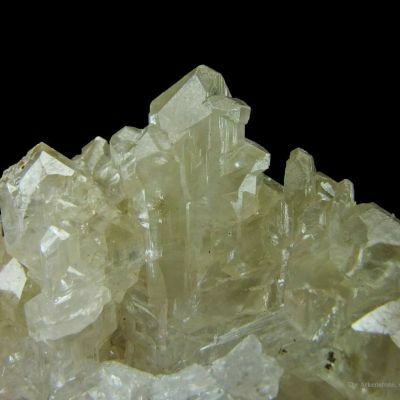 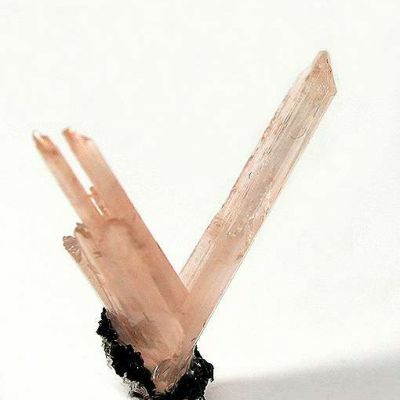 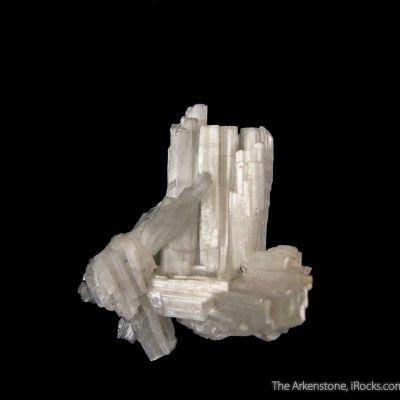 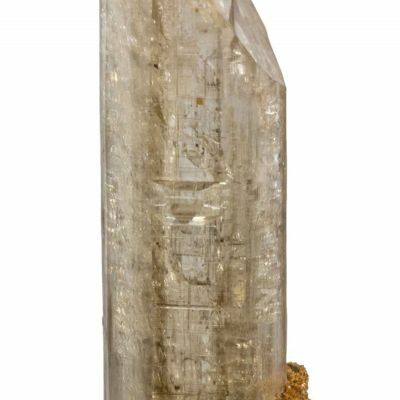 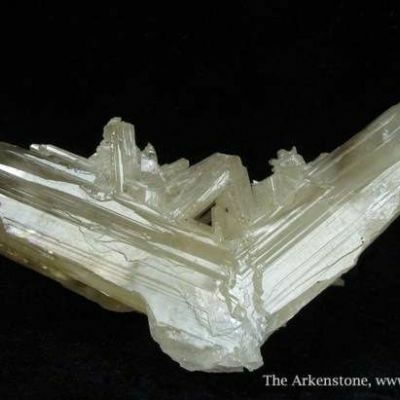 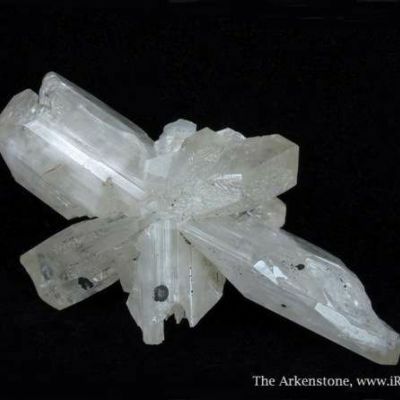 An extremely rare and fine cerussite thumbnail from a very uncommon Nevada locale - the Albion Shaft in Eureka County. 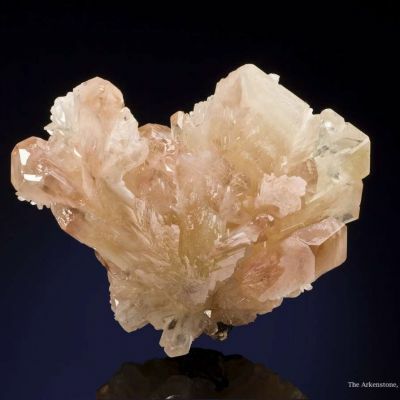 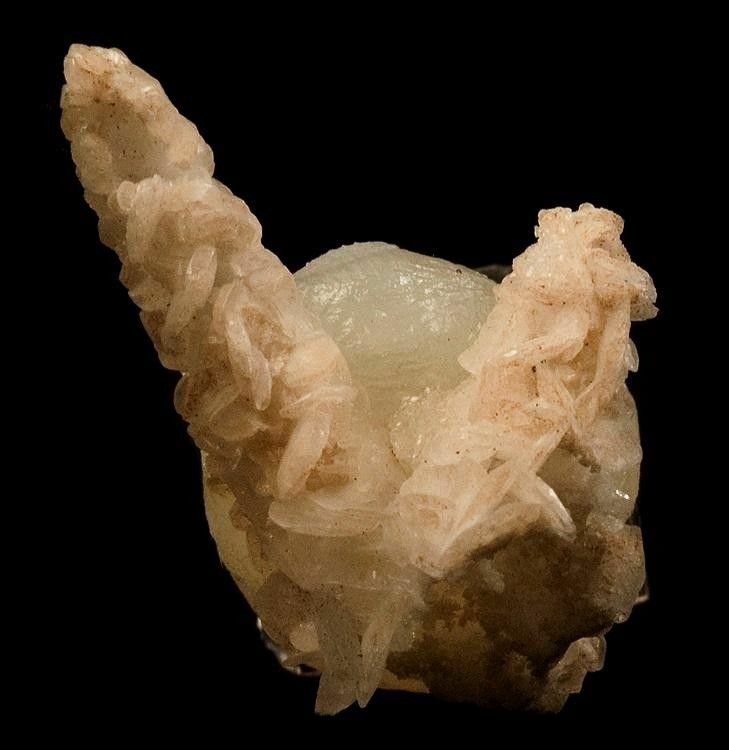 Two hollow stalactites that look like rabbit's ears, consist of lustrous, tiny, pastel-pink cerussite platelets. 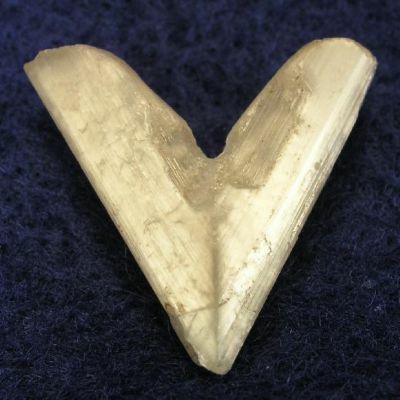 Older material from the Jaime Bird Collection.